one of my good friends, elisabeth, is on a strict gluten free and dairy free diet. when we decided to have dinner together, making soup seemed like the best option. 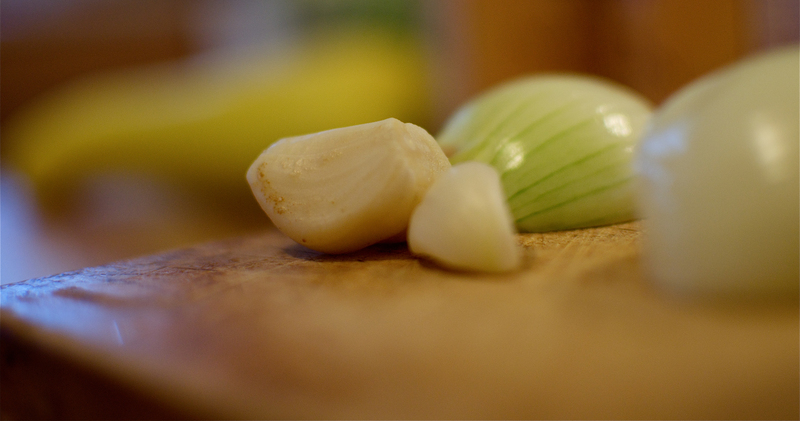 anything that begins with olive oil, garlic & onions is pretty difficult to mess up. I started there, chopped and added the vegetables in the kitchen that seemed to pair well, and came up with a thick, hearty tomato base flecked with thyme, basil and hints of garlic. the result, with a bottle of wine, roasted cauliflower, and friends–made for a pretty great evening. cover, reduce to a simmer and let everything cook together for 3o minutes. 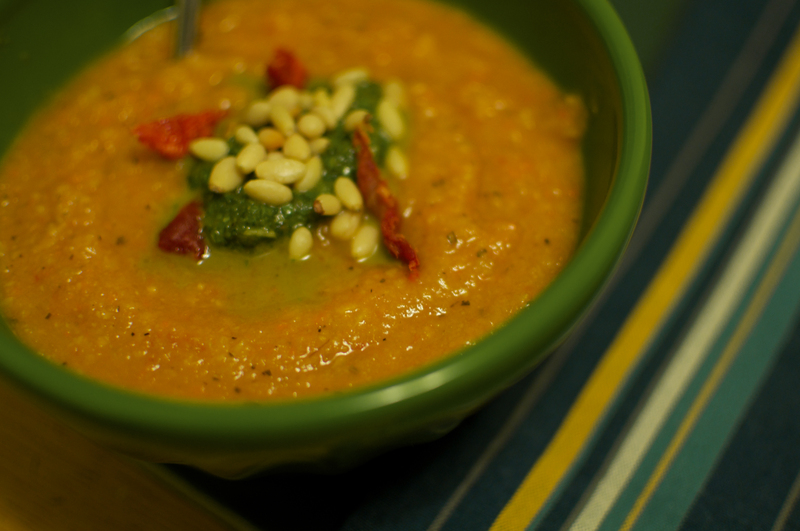 then use an immersion blender to puree the soup. 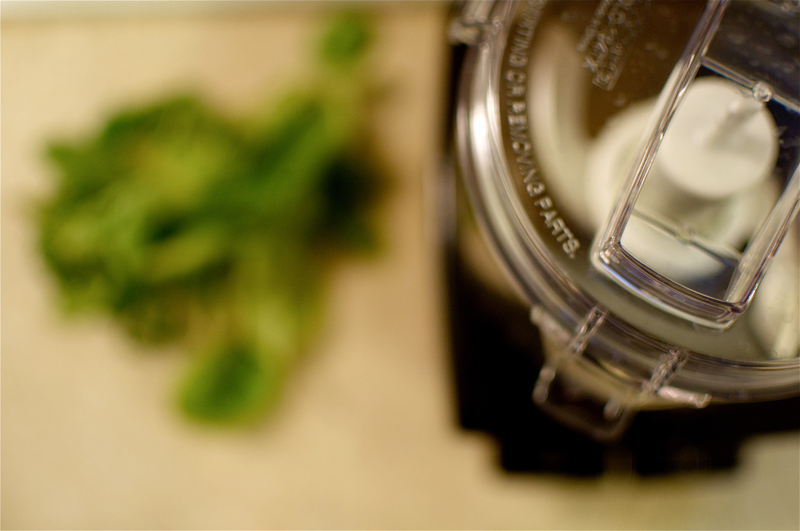 herb pistou: combine a handful of fresh herbs with garlic, 2 T. olive oil, and salt and pepper in a food processor. can we make this together the next time we’re in the same city? preeeetty please. i love you–it was amazing catching up with you yesterday!